Iron End Caps--End caps are widely used today for any jeweler to finish off work on a chain or a cord, hide rough edges and make sure you can attach a clasp and jump ring to the end of the chain or cord. In this collection, Chinabead.cc offers a series of superior iron end caps in various popular selling designs and nice plating colors for you to choose from. 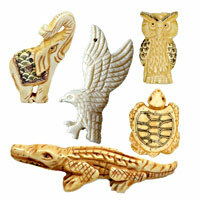 They are wonderful ornament for your jewelry creations. Welcome to buy some at most economical prices from chinabead.cc! NOTE: Our Min. order is for each color each size. China beads accept OEM/special orders. Contact us now!